Here, in my little part of the world, I have heard of such things as fairies, aliens, goblins, doppelgangers, banshees, Sasquatch and even pukwudgies. Although I have never encountered these creatures, I can keep an open mind and appreciate the possibility that they are real and that they exist. I have never seen, felt or touched my spleen, but I believe that it exists. When I first heard mention of this supernatural creature that I had no knowledge of before, I thought to myself “Djinn? What the heck is that?”. Djinn are found in the Quran and within Islamic teachings. Mention of the Djinn goes back to pre-Islamic times and through archaeological findings it seems that they were once worshiped. Djinn are believed to dwell in a world parallel to ours. 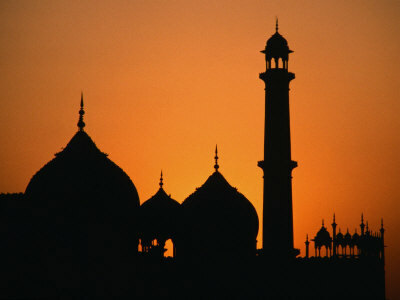 They are one of the three perceived creations of Allah, the other two being humans and angels. Djinn have less power than angels. Djinn have free will and therefore can come and go as they please. Just as with any spirit, there are good Djinn and bad. Good Djinn have been helpful to humans and bad Djinn have tormented and created havoc for their victims. It is said that Djinn can take the form of animals, snakes, vultures, scorpions or to mislead people, they can appear for short periods of time in human form. They have been said to haunt people and places. They have also been accused of taking over a person’s body by possession. So, how do you tell the difference between a Djinn and a human spirit? Who is to say whether you are being tormented by a mischievous or ornery human spirit, an extremely rare appearance of a Demon, or if you are being tormented by a Djinn. I have never had an encounter to be able to advise you on how you could tell the difference. I would have to seek help from a more knowledgeable source. 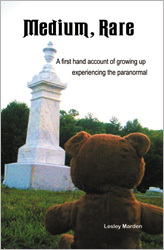 In my book, Medium Rare – A first hand account of growing up experiencing the paranormal, I talk about encountering something in my sister’s home. I knew that it was not human, I knew that it did not belong to the house and that it was very old. I did not know and still do not know “what” it was. As I roam about the Internet in search of information, I see that there are many posts and videos made about the Djinn. So many accounts of encounters. So many new questions. The more I learn about the vastness of spiritual realm, (and I am learning something new everyday), the more I realize that this plane that we live on is such a small part of our existence. An open mind and an open heart are the keys to answering these very questions. I will now put the Djinn amongst the other spiritual beings that I am aware of, along with the other creatures and beings into my backpack of knowledge. Although I have never met most of them, maybe I can prepare myself for the day I that do. Author Lesley MardenPosted on October 30, 2011 February 26, 2016 Categories Observations1 Comment on Djinn? What’s a Djinn? Yesterday, I brought my Talker ITC to 3 different locations. 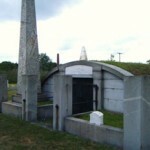 The first location was Centre Cemetery in Henniker, NH. 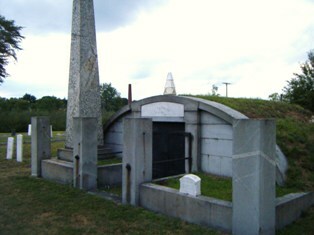 This Cemetery is the resting place of Ocean Born Mary. The Talker said nothing as I entered through the space between the gate and the stone wall and blurted out a few nonsensical one syllable sounds before I found Mary’s grave. It fell silent as I took some pictures and explored the area. About two rows back, and to the left of Mary’s grave, it said some gibberish. I continued to walk around, looking at the stones and the iron grave markers on the right side of the graveyard. I ventured to the front left side then it said one word, “Hi”. As for my senses, I felt nothing, no energies, nothing. It was a very quiet, peaceful place. I was close to the street, the water supply and the town electricity, so the talker may have picked up EMF from those sources. My next stop, after checking out the Ocean Born Mary House (in which she never actually lived), I brought the Talker to the First Burial Ground of Henniker. This graveyard contains the family or Robert Wallace, who was the son of Ocean Born Mary that built and lived in the famed Ocean Born Mary House. Mary actually lived with her son William about a mile away. The Talker was completely silent for the whole time that I explored the sunny graveyard with occupants who had laid there from the mid 1760’s. I was about to exit and it startled me when it said one word, “Captain”. 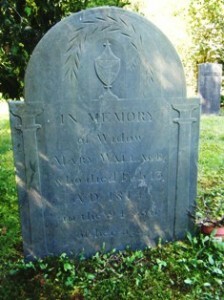 I looked around me, and there was indeed a grave with the inscription “ERECTED In Memory of Cap’ Josiah Ward who departed this life Feb’ 27th 1795 Aged 54 years”. Leaving Henniker, I headed north along the scenic Currier and Ives Trail that weaves through “quintessential New England”, to my next destination. 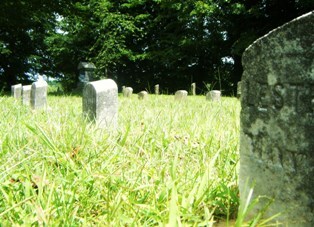 Webster Place Cemetery is nestled between two large fields of a working farm. The family who owns the farm have posted signs that say they do not mind if you access their property to get to the graveyard, but all vehicles MUST stay on the dirt road. I drove my car along the dusty path until I came to a fork , and a sign that said that only farm vehicles were allowed past this point. There is no source of electricity anywhere near this graveyard. I grabbed the Talker and my camera. I turned on my Talker and got out of my car. I was facing the road that led straight out to a field and the talker said “Left”. I was aware of a young male energy. I walked to my left toward the graveyard and the Talker then said “Look”. I stepped over the iron chain fence and entered the graveyard at the old Burleigh plot. The Talker said “Come closer”. I quickly went back to my car and retrieved a notebook and a pen and wrote down what the talker had already said. After I wrote down the three responses the Talker said “You’re ahead”. I re-entered the cemetery and was drawn to the back corner. There were small stones with names of babies and children, their ages and date they died. The Talker said “There are a lot”. It occurred to me that these must have been the children of the orphanage that was located at the top of the street. I felt like this young spirit wanted me to go further to the edge of the cemetery’s rear. I walked over, and there, all by itself, was the grave of a 13 year old boy. Once I had reached the stone belonging to George, the Talker said no more, as if I had seen what the young spirit had wanted me to. I no longer could sense the energy either, he just left. I checked out the rest of the cemetery. It was very quiet. The Talker only said one more thing when I got out of the car at the top of the street to take pictures of the buildings where the orphans were housed. It said “Celia” and I immediately had the image of a gold cross in my head. I am curious if it is documented somewhere to see if there was a Nun named Celia who lived on the site. The Talker, by far, exceeded any expectations that I had formulated for it’s performance. It certainly is an interesting piece of “experimental equipment”. I love getting packages in the mail, especially whe they contain things that intrigue me. I purchased a Talker ITC from Bill Chappell, the creator of other talking ghost hunting tools such as the Ovilus and the Paranormal Puck. When it arrived I immediately put in the 3 required AAA batteries and turned it on. The little red light slowly and methodically blinked at me as if to say “What were you expecting from me, a conversation right off the bat?” I chuckled to myself and decided to check it out. The Talker works by detecting fluxuations in the Electromagnetic fields surrounding the unit. It is said that EMF fluxuations happen when spirit activity is present. The spirits, in turn, can speak through the device by using the sounds that are stored within the Talker’s memory bank and manipulate the energy fluctuations into audible speech. Armed with this information, I decided to see what the Talker would do if I purposefully changed the EMF levels near the unit. I went straight to my microwave and it uttered it’s first sounds. I was wondering if it was a foreign language. It spat out unidentifiable gibberish in long strains of unmatched syllables. I brought the unit over to my television, and again it seemed that it was speaking in tongues. I brought it outside and it was silent. I decided to take it to a nearby cemetery and left it on as I walked. It said not one word. Real, or made up ones for that matter. As I approached the right front side of the cemetery, I was drawn to the area which was closest to the street, on the far front left side. 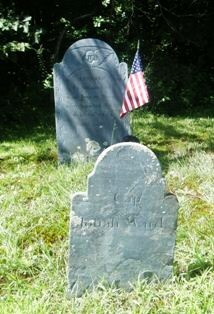 I entered the small cemetery from the early 1800’s and walked at a slow pace. I realized I wasn’t alone, I felt a male energy. I kept walking and the Talker said what I thought was “Merrill”. I said “Okay, I will look for a gravestone with the name Merrill.” I continued on my way toward the left side of the cemetery and The Talker said “Tomb”. I had just passed the only tomb in the cemetery and I was on the back side of it. I said “Okay, I will go back to the tomb.” and walked around to get to the front side. As I came to the front I noticed one small stone placed on the front right side. 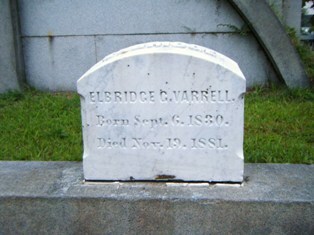 The name on that stone was Elbridge G Varrell. When The Talker speaks, it speaks in a robotic voice. 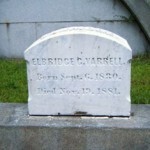 Merrill and Varrell sound so much alike, they could easily be mistaken, one for the other. All in all, for my first outing with the Talker ITC, I was impressed. I believe there is some validity to the claims that Bill Chappell makes about his device. It did say a couple other words, but I missed what they were. You have to have your ear at the ready at all times with this device, because you never know when the Talker will speak. 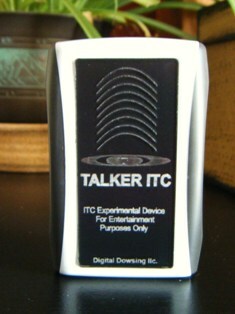 I recommend running a digital voice recorder during any and all sessions with the Talker ITC. That way you will not miss out on words that are said when you are not ready to listen. I look forward to bringing it on upcoming investigations to see what it has to say. More importantly, I want to see if it says things that are as relevant as they were today. A few weeks ago a co-worker of mine asked me if I would go to the property that she and her husband had recently purchased. She noticed a family cemetery on the property and wanted to know if the former residents were going to be disturbed by building a house there. Good News! I visited the lovely, sunny piece of what was once farmland. I brought my friends Sarah and Jac with me to help me verify the information I was receiving. As I have done in the past, I gave the dowsing instruments (in this case dowsing rods and my pendulum) to my friends and as I received information I would say it out loud in the form of a question. They would in turn ask the question and get “yes or no” results. I like doing it that way. Not only does it involve my guests, but also can not be manipulated by me. It is also very comforting for me that the results are consistent between the two dowsers. They always both say yes, or the both say no. I was aware of 3 male spirits and one female. Only one would come forward. I am not very good with names, but Samuel was what I got. He was at the farm in the early to mid 1800’s. he presented himself to me clean shaven, wearing a brimmed hat, suspenders and a buttoned shirt. He also shared that he had a child who passed with a fever. I believe Samuel passed with a heart related issue. Both Samuel and the child are burried in the cemetery that is on the lot. The spirit was not upset that my friend wants to build, but request that she and her family take care of the property and treat the graveyard with respect. I don’t think that is too much to ask. Very nice property and very nice spirits! Author Lesley MardenPosted on May 27, 2011 February 26, 2016 Categories ObservationsLeave a comment on Let’s Build That House! Recently I have been hearing more and more paranormal researchers changing their positions about people experiencing cold chills in a haunted area. They are dismissing the personal perception as a mind trick, saying the subject experiencing the cold chill must be mistaken because the air temperature around the person stays at a consistent level. It is well documented that researchers and others have gotten physically ill and sick to their stomachs, leaving the building for fear of vomiting at reportedly haunted locations. Could it be possible that what ever it is at the haunted site that causes people to double over with nausea, at a lesser level of intensity, could cause a person’s temperature to rise (or fall)? 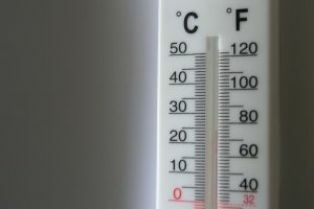 I get cold chills when I have a fever or my temp is low. Maybe it is not the atmospheric temperature that changes, but the researcher’s physical body temperature that does. The personal experience can not be entered as a scientific documentation, but detailed changes in the physical body that can be logged and substantiated is a step toward scientific documentation. Maybe paranormal investigators should include a medical thermometer in their kit and monitor the team member’s temperatures as well as the room temperature at the location they are investigating. Author Lesley MardenPosted on May 22, 2011 February 26, 2016 Categories ObservationsTags Paranormal researchLeave a comment on Is It All In Your Head? What a wonderful time Fiona Broome and I had at the Memorial Hall Library that serves both Tilton and Northfield, NH. I would like to thank all of the people who ventured out on a dreary evening to listen to our talk on ghosts and ghost hunting. It was great to see and reconnect with friends as well as meeting new ones! at McDonald’s when the library turned out their lights. Thank you, Souhegan Paranormal for joining us and sharing your evidence and stories of your past investigations! Also, a warm “Thank You!” to my delightful friends Fiona Broome and Sean Paradis. I always enjoy our time together and can’t wait for our next adventure. I had an idea today. I thought to myself, “What if I had two pendulums in one hand. Would they be able to move independently from each other? Would that then prove that the dowser was not manipulating?” I had a quick conversation with my spirit guide, Philip and he agreed to help me with this new experiment. Click here to watch the video and see the results Two Pendulums In One Hand. I finally bought a new pendulum! I love my stilbite pendulum, but I have known for months that a new pendulum was on the horizon. I have spent those months picking up new pendulums in various metaphysical stores and asking my guide, Phillip if the one I was holding was the one for me. The answer was always a resounding “No!”. I have seen some beauties out there, but none of them were made of the crystal that I have been hearing and seeing in my meditations. This past week, when I was at Circles of Wisdom in Andover, MA a particular pendulum caught my eye. Gleaming in the very back of the display was a clear pendulum with some green inclusions. I picked it up and said out loud “Flourite!” and read the tag. It was indeed flourite, and Swarovski crystal. It was beautiful. I held the chain and dangled the crystal down over the the crook of my finger. Before I could even form the question in my head to see if this was the pendulum for me, the answer was “NO!”. I put it back on the display, admiring the stunning piece and said maybe next week. Yesterday I was at Wild Women’s Studio in Laconia, NH and as if by magic, I was drawn to the very foremost front corner of the store. Laying there, on a ceramic plate was a modest pretty green pendulum. I picked it up and said to the store owner, This looks like flourite, and she said “That is because it is”. I positioned the pendulum in my hand. To my delight the pendulum was meant for me. The cheerful green crystal delightfully began to swing with an emphatic “YES!” right away. 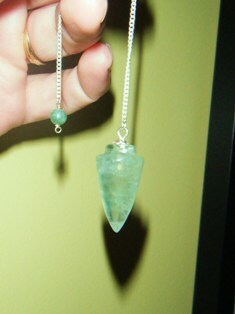 I am so pleased with my new purchase and I am glad I waited to be united with the one pendulum that just seems to fit. Patience certainly pays dividends. Green flourite helps to give balance to all areas of your life. It is an excellent tool of discernment and acts as an energy shield, absorbing and dispersing negative energies, and therefore needs to be cleaned often. It also can help you steer clear of deception and fraud. Other metaphysical properties include protection from psychic manipulation, heightening of intuition, and release of negative patterns. I videotaped an experiment that I conducted in my basement about Pendulum work, and if the person dowsing is actually manipulating it or not. 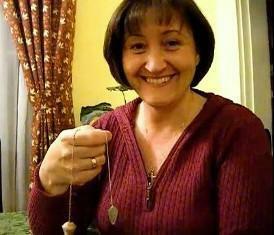 Click here to view video Dowsing Without Manipulation. 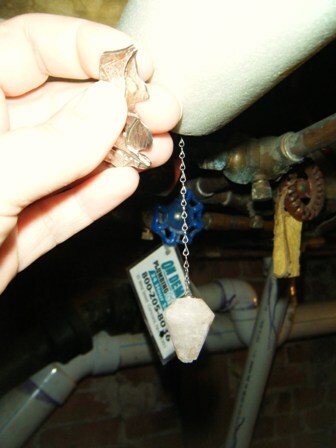 In the video, I have hung my pendulum on a copper pipe that has been drained for the winter. It is the pipe that feeds the garden hose. There is no running water or heat associated with this pipe. As you can see in the video, I have taken the human hand out of the equation, thereby making it impossible to manipulate the pendulum conciously or subconsiously. Acting upon the advice of Chris Gentry, I repeated the experiment, but this time hanging the pendulum on a cold water pipe that is fully charged. I received the same results. I once again experimented on the cold water pipe, but this time with water actively running through. I received the same results. I switched to a fully charged hot water pipe. The pipe was warm to the touch. I attached the pendulum with the big silver piece for me to hold around the copper and left it there until it was perfectly still. Suprisingly, when I resumed the experiment, the results were the same. As I was asking the yes and no questions, the yes answers were consistently counter clockwise, and the no answers were back and forth. Another thing that was consistent between all of the pipes, was the velocity, or strength of the pendulum movement. I asked if any energy was being received from the pipes and the answer was no. I asked if the energy was coming through me and the answer was yes. One thing I noticed right away during the experiment was that when I am holding the pendulum in my hand it moves with much more force and certainty. When I was only attached by my fingertips, it moved in a much weaker fashion. Is this due to the energy having to travel a greater distance? Like with the old fashioned telephone service, long distance and transatlantic calls were faint and you had a hard time connecting. Maybe this is true to this energy experiment as well. What are your thoughts? I am always interested in your ideas! I just wanted to give a great big THANK YOU to Lauren Rainbow and Elizabeth Foley for sponsoring and coordinating the Mind Body Heart and Soul Expo today at the Crown Plaza Hotel in Nashua. Even with the humongous task of finding a new venue to hold the Expo, after the Radisson unexpectedly closed, the event went off without a hitch. I would also like to thank all of the wonderful people who stopped and talked with me and those who bought a copy of my book. It was a great being able to listen to your experiences and to share some of mine with you. Author Lesley MardenPosted on February 5, 2011 Categories ObservationsLeave a comment on Thank You!